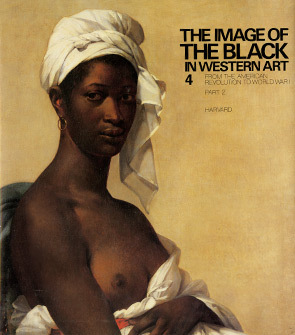 These two volumes by Hugh Honour, a distinguished British art historian, provide an exhaustive survey of European and American depictions of black people in painting and sculpture during the century and a half from the end of classicism to the beginning of modernism. Honour places each work in its social context, yet his study refuses to treat works of art merely as historical documents. Instead, it inquires into how social realities enable and constrain the possibilities of art. Honour was born in Eastbourne, Sussex, England. He received a Bachelor of Arts from St. Catharine’s College, Cambridge. While at Cambridge, Honour met John Fleming, a solicitor and amateur art historian, who would become Honour’s life partner. Honour accepted a position as Assistant director of Leeds City Art Gallery and Temple Newsan House but left after one year to join Fleming in Italy. Living in Asolo near Venice, Honour produced his first book, a cultural guide to Venice. The pair were then commissioned by publisher Allen Lane to edit the Style and Civilization series, for which Honour wrote the volumes on Neo-classicism and romanticism; the Architect and Society series; and the Art in Context series. Honour was elected a Fellow of the Royal Society of Literature.